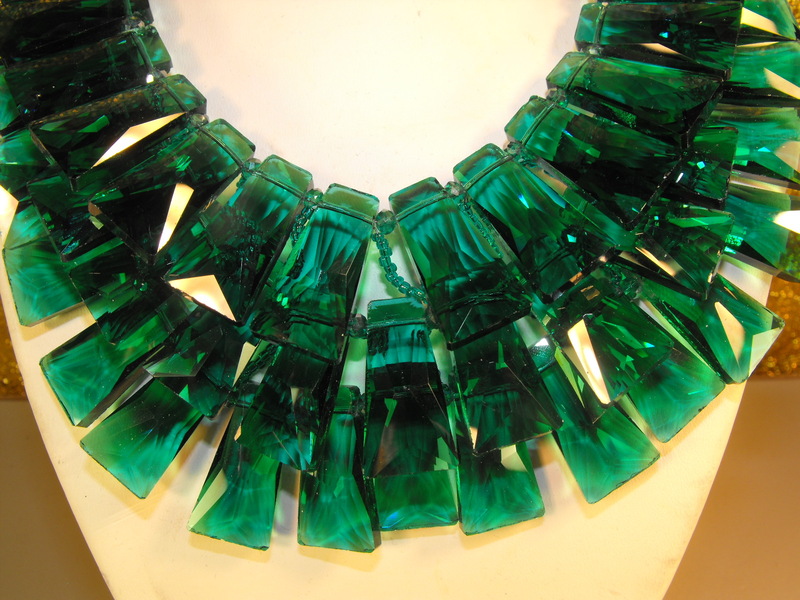 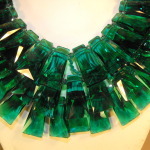 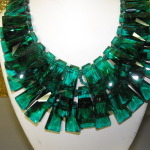 This necklace gives new meaning to the color Emerald Green. 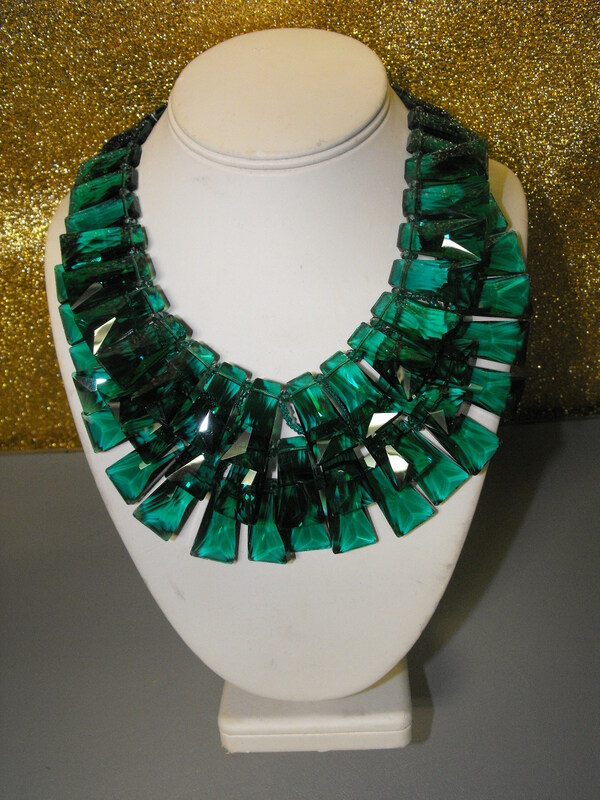 This is without a doubt one of our favorites. 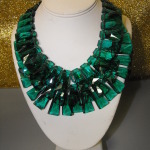 This artisan crafted necklace consists of 3 layers of rectangular, tapered, faceted crystals. 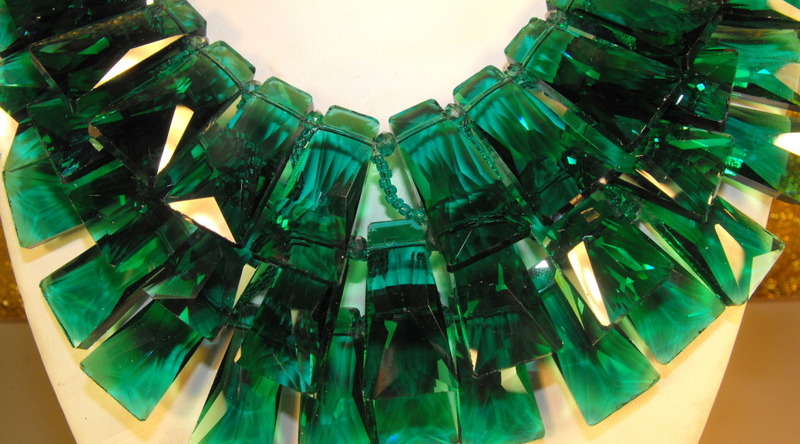 Each crystal measures about 1″ in length and about a 1/2″ wide at the widest taper. 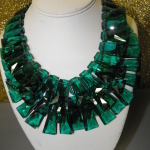 Total length is about 8″ in length. 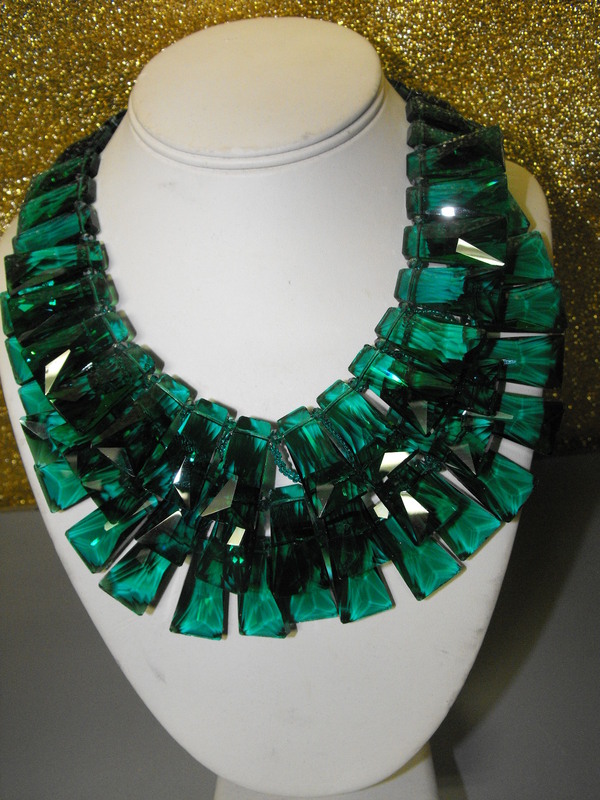 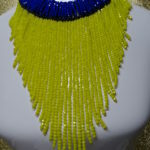 So, make a glorious statement that will turn heads who will be GREEN with envy. 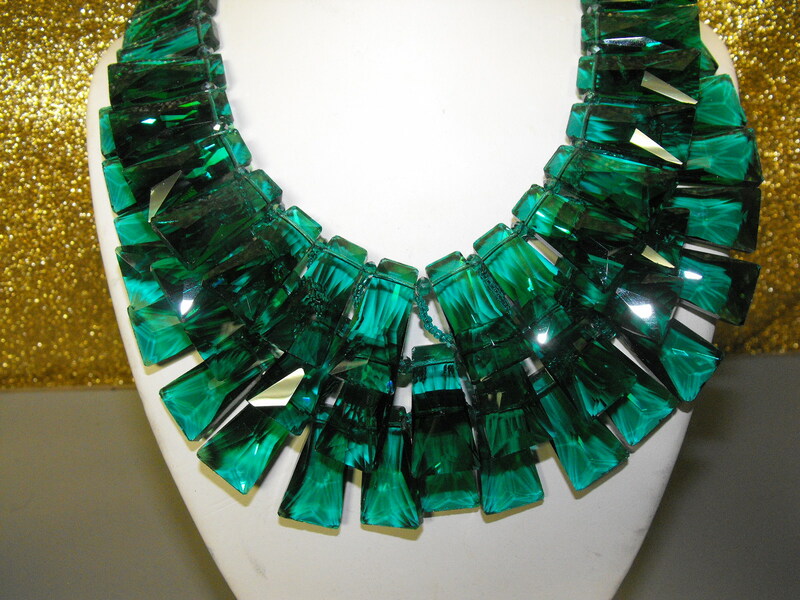 For a larger view, please click on the pictures below.